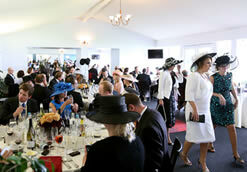 Synonymous with high quality, style and excellence the Hospitality facilities at Ascot are outstanding. With fabulous Private Boxes and two top class Restaurants you will be sure to enjoy your day and remember it for years to come once you have sampled the hospitality at Ascot. Ascot Racecourse hosts some of the best Flat racing in the world and offers the highest prize money during the National Hunt Season. It’s easy to see why Ascot Racecourse fixtures are up near the top of any racing calendar throughout the year, and not just the festival meetings. Enjoy the summer sun in glamorous style this year and witness the world renowned five-day Royal Ascot in June and the Betfair Weekend in July, which provides one of the top races of the world with the King George VI & Queen Elizabeth Stakes on the Saturday. 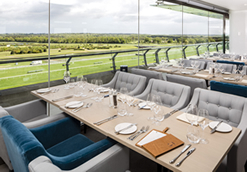 The Private Boxes at Ascot are ideal for corporate entertaining or celebrations with family and friends. With two top class Restaurants offering the best in comfort and cuisine there is always something for everyone as Ascot Racecourse. Whatever type of Hospitality, size of your party or budget we are sure to have the package to suit your requirements at Ascot Racecourse. Why not get in touch with us today and you can be assured of great service and advice.